Do you need to do a bit of shopping on eBay this weekend? Don’t do it until you read this! So I’m sure most people are aware that you can collect Nectar points when you shop on eBay. If you didn’t then hop on over to eBay and link your Nectar account up (it takes all of two minutes). For this week end only, when you spend more than £18, you have the opportunity to collect five times more Nectar points than normal – that’s really quite a lot more! Not everyone can get these bonus points straight off. First up, you need to log into your Nectar account and opt in. 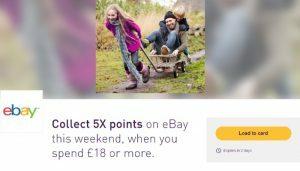 You choose the offer for eBay then load it onto your Nectar card account. 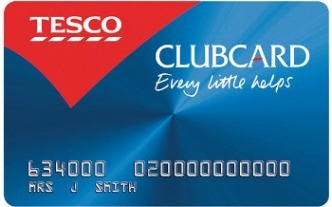 Once this is done, you are then ready to head back to eBay to shop as normal and get more points. Remember, you need to spend £18+ one one item and you’ll need to checkout and pay before 23:59 on Sunday 22 January 2017. When do I get the x5 points? 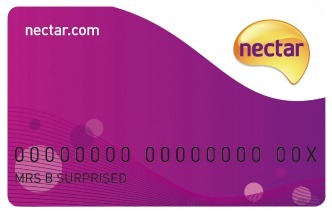 All bonus Nectar points are awarded to your account within 28 days. This x5 points bonus on eBay is not going to be available to everyone. However, it’s well worth logging in and checking on Nectar before you may any purchases as you could just be missing out on bonus free points. If nothing else, you may find even more offers that you weren’t expecting to find in your Nectar offers! 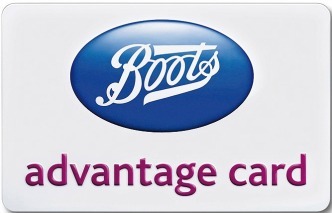 Looking for more ways to boost your points? Find out how to collect more points with Nectar. Naomi Willis is the Editor of Loyalty Card Points. After needing a new purse to accommodate her loyalty cards, Naomi now knows a thing or two about maximising points! Copyright © 2019 Skint Media Limited. All rights reserved. Registered in England and Wales with company number 09991508.